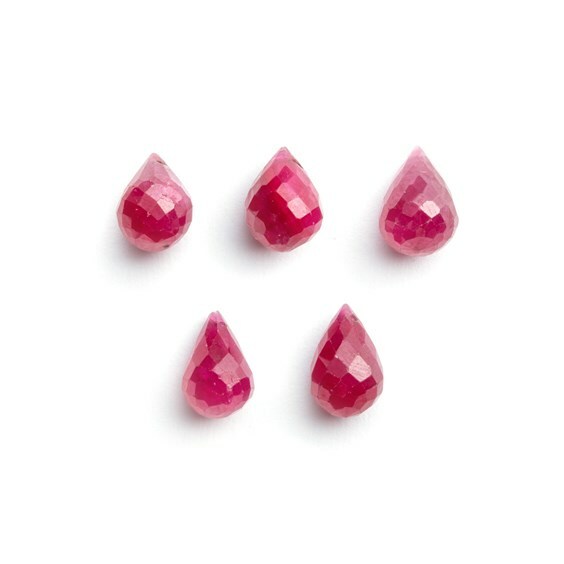 This precious gemstone is July's birthstone and we can't wait to see more designs using beautiful ruby gemstones. Ruby is one of our favourite gemstones, due to its vibrant pinky red colour and gorgeous lustre. 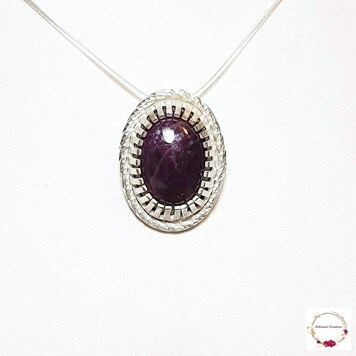 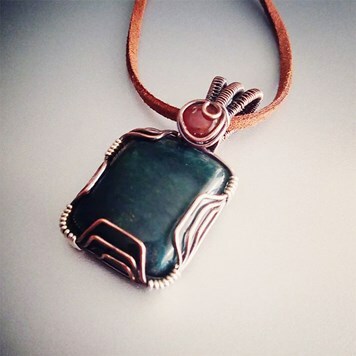 It is a very popular gemstone, used for 40th wedding anniversaries, making it perfect for meaningful gifts and occasions. 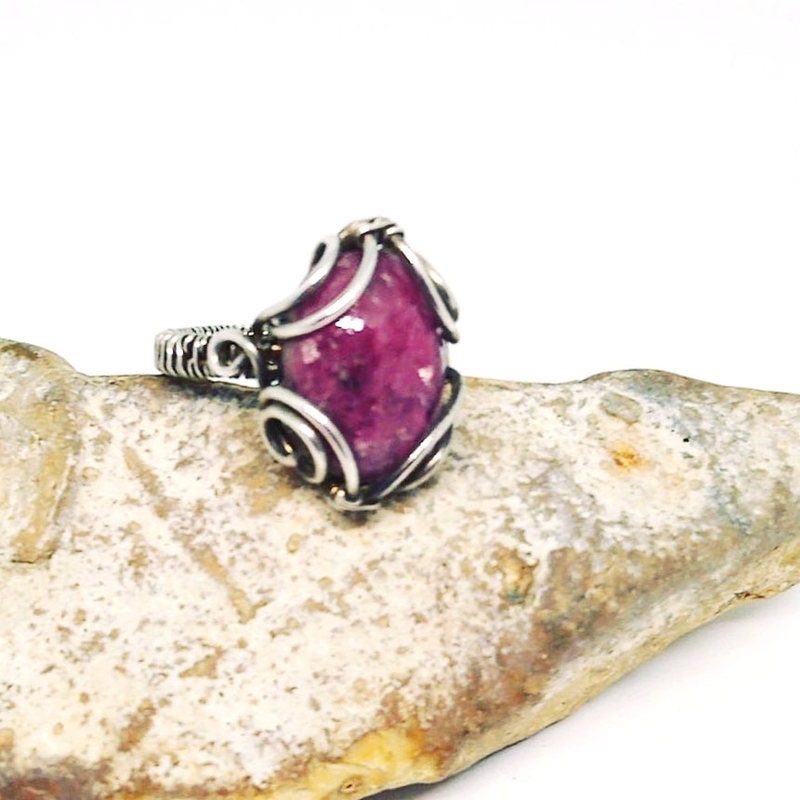 Ruby is said to be a powerful gemstone, bringing courage, passion, protection and prosperity. 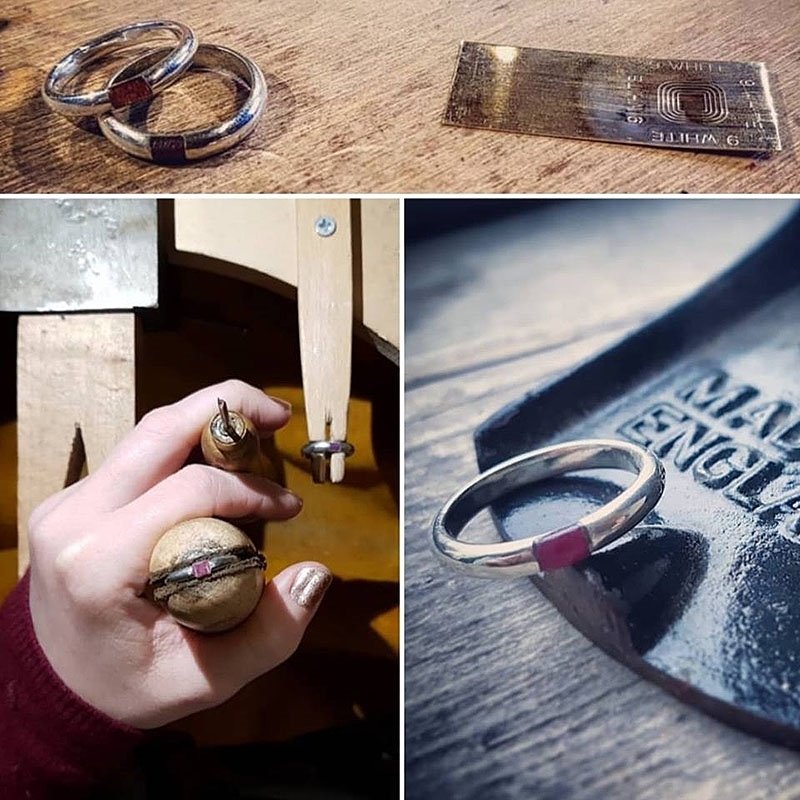 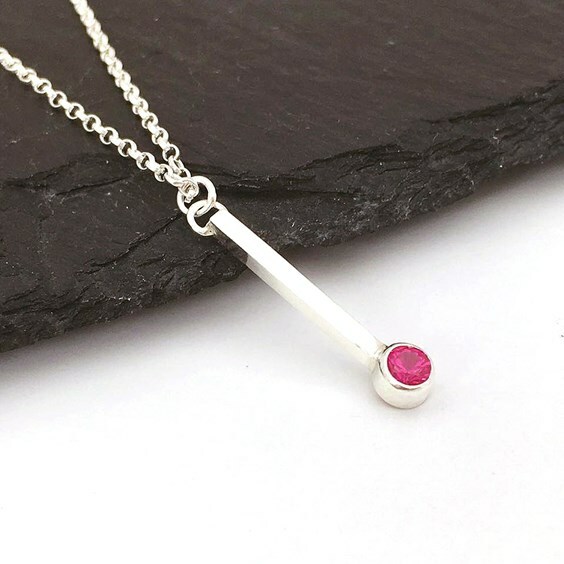 At Kernowcraft, we have a range of ruby gemstones to use for making jewellery including cabochons, faceted stones, beads and limited edition stones. 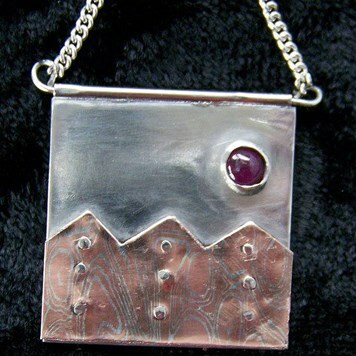 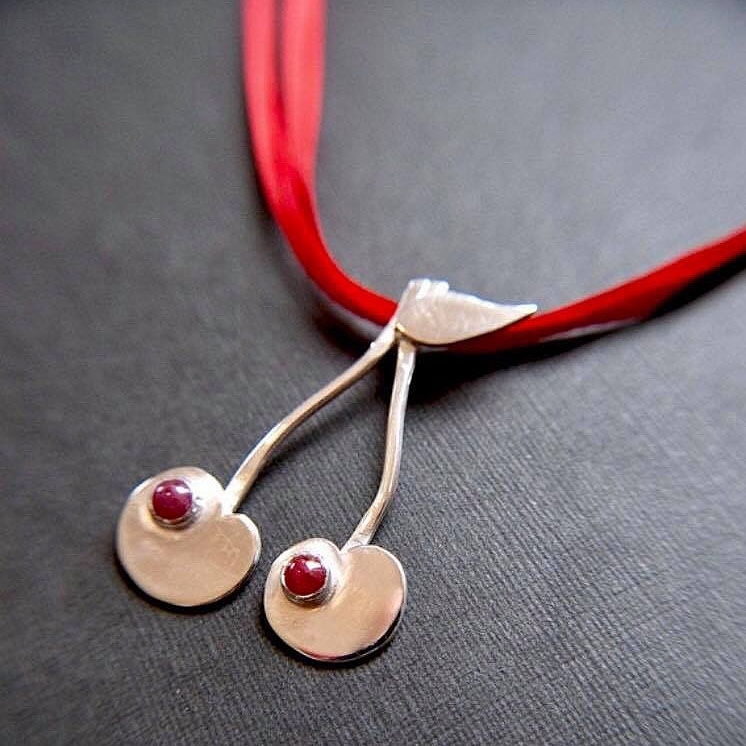 Sterling silver and ruby cherries pendant, love cherries as much as I love rubies! Discover unique ruby gemstones by clicking the button below and don't forget - once they're gone, they're gone! 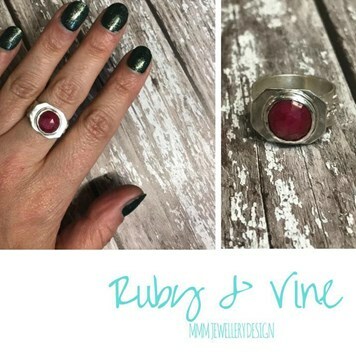 A commission to redesign an antique ruby ring. 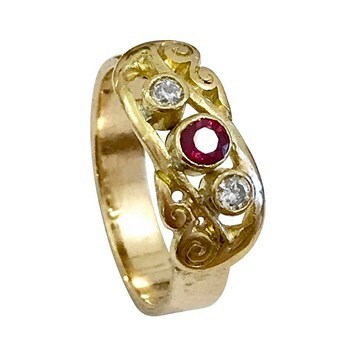 I retained part of the original ring but set the ruby and diamonds in gold tube settings. 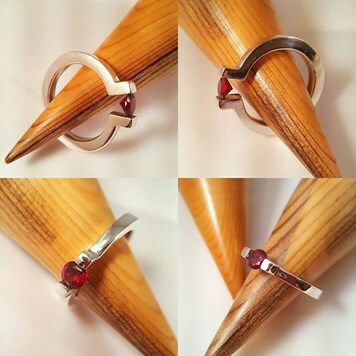 A replaced original band with a wider textured band. 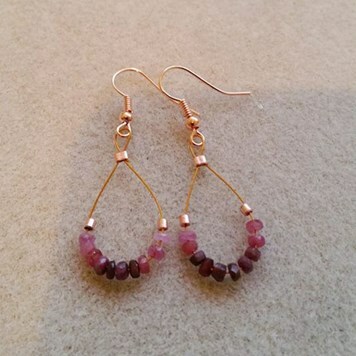 The customer was so delighted she wore it immediately. 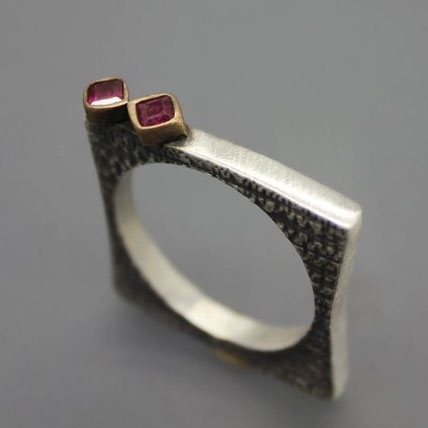 I love this ring myself - a one-off piece. Our ruby faceted stones are beautiful! Head to our Make The Look section, filled with jewellery making tutorials to help you learn basic techniques. 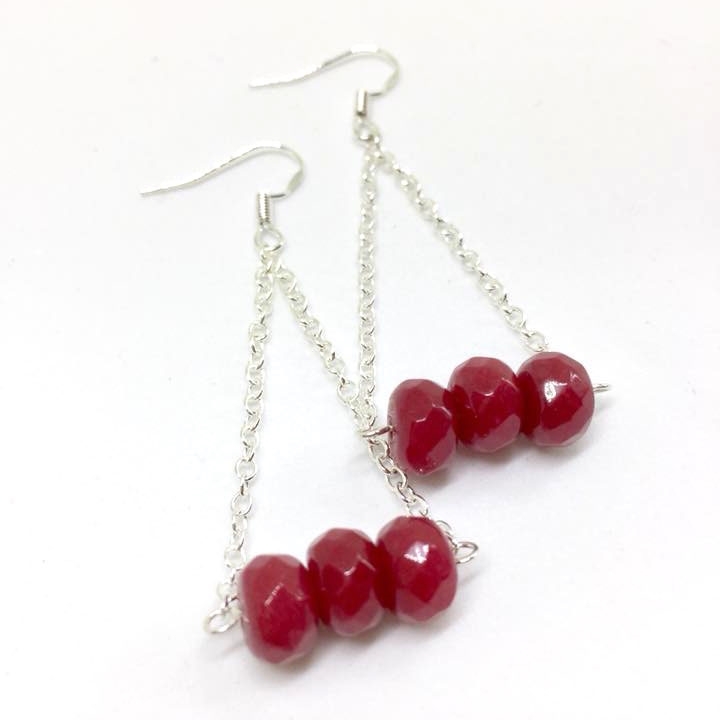 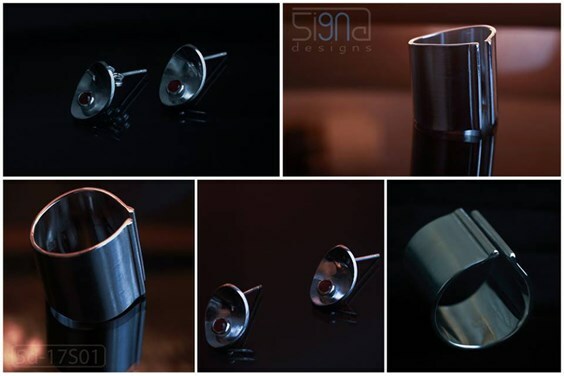 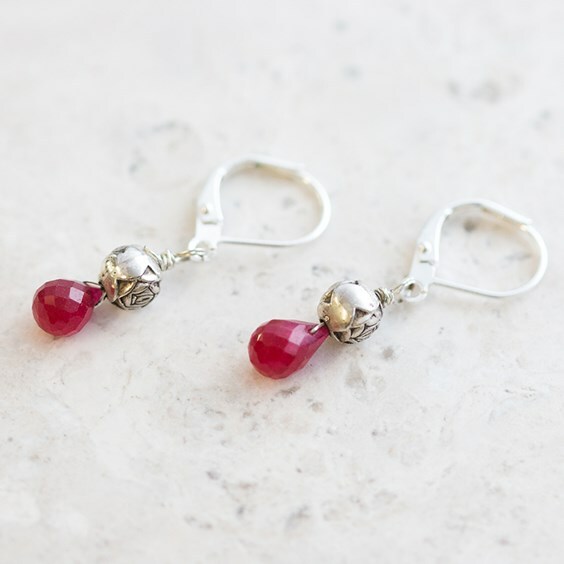 Including a simple ruby snaptite earrings project, where all you need to do is pop your faceted stones into snaptite settings for an instant design. 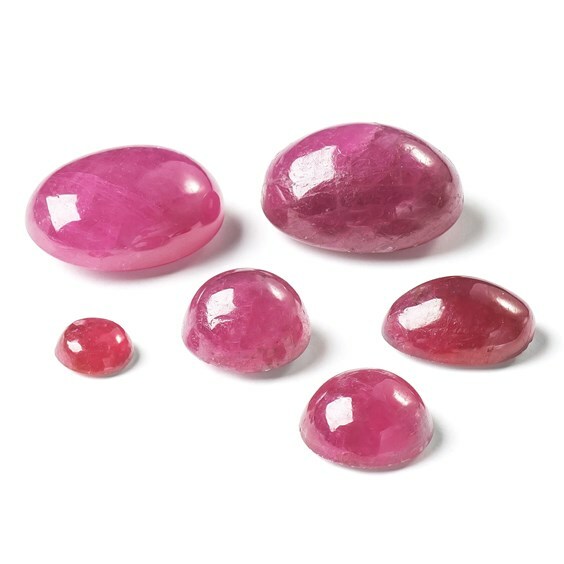 Our popular ruby cabochons are perfect for making a pretty ring or pendant. 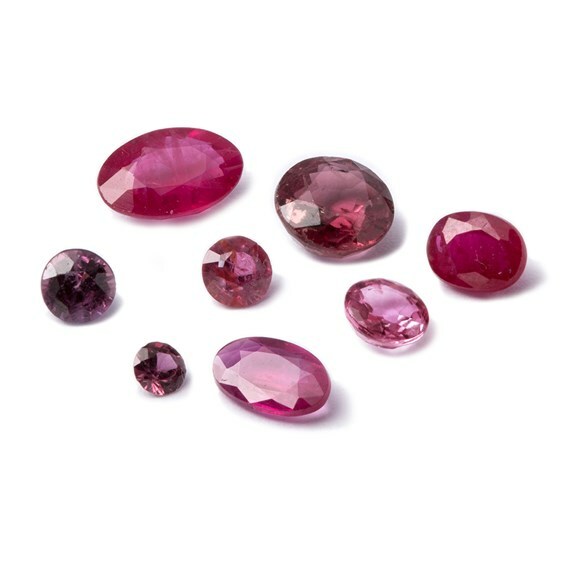 They have a rich pink, red hue and have beautiful natural inclusions. I made this for my mum almost a year ago to celebrate her and my dad’s ruby wedding anniversary (in fact dad “commissioned” it!). 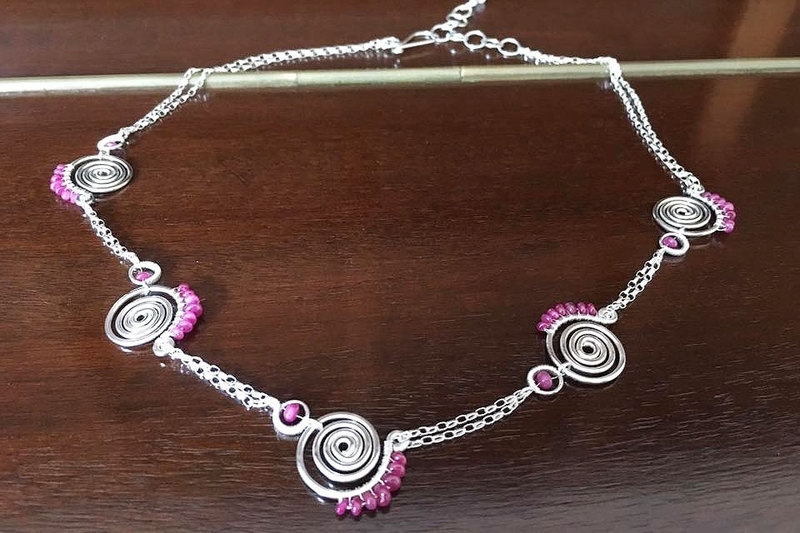 There are 40 ruby rondelle beads on sterling silver spirals, one for every year they were married. 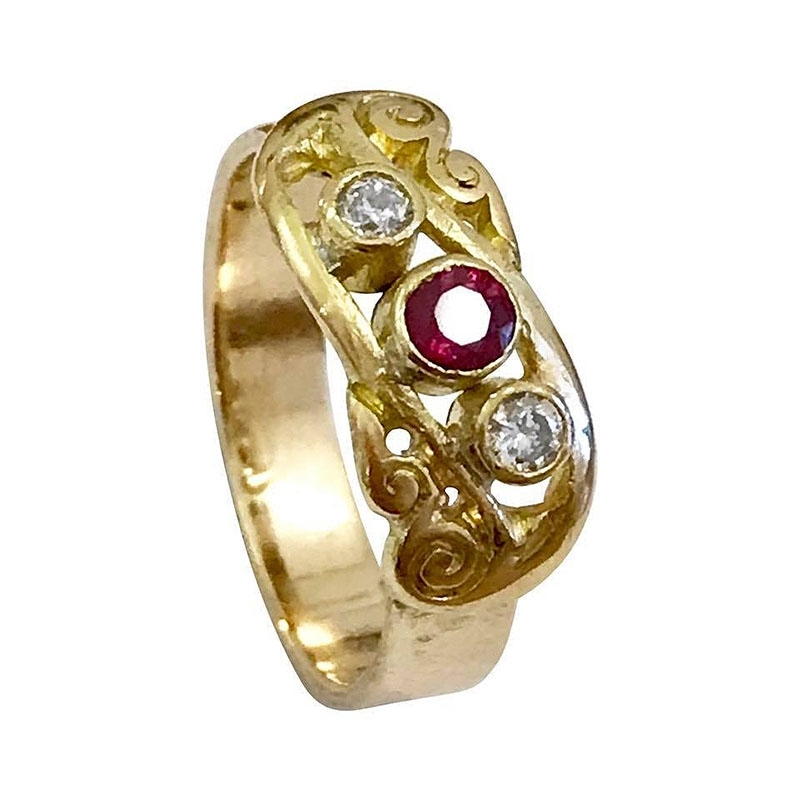 White gold and ruby inlay ring commissioned for a ruby wedding anniversary. 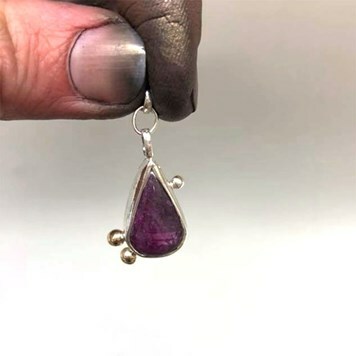 Took some figuring out I'll tell you! 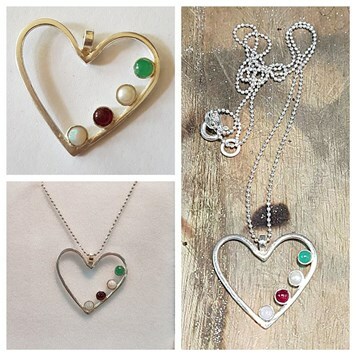 Sterling silver birthstone heart pendant with emerald, pearl, ruby and opal! 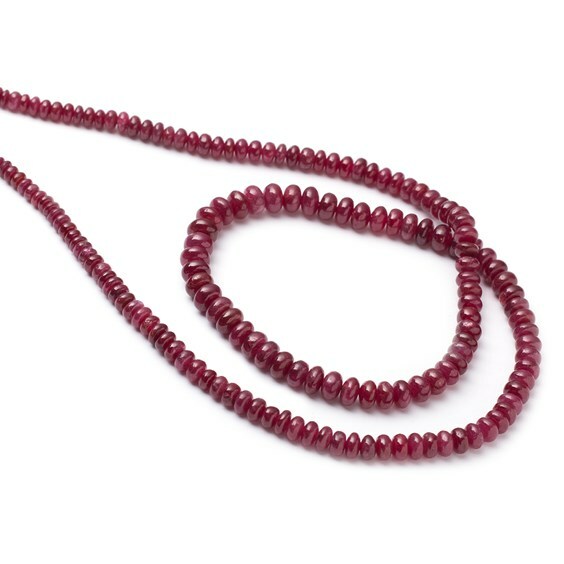 These lovely ruby rondelle beads are available as loose beads or 40cm strands. 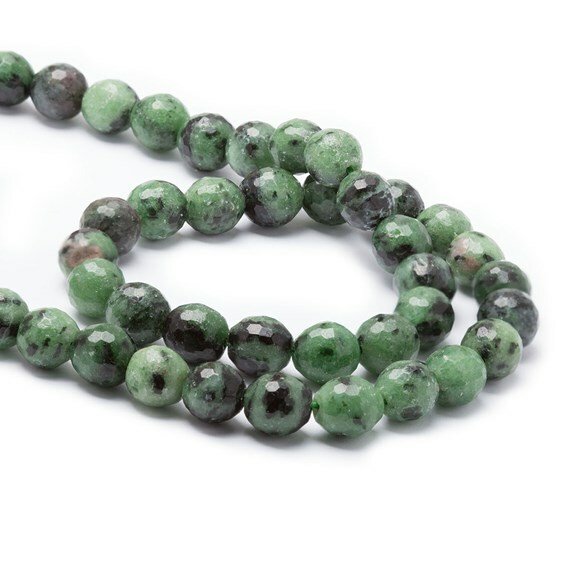 Zoisite provides a gorgeous earthy green colour while ruby lends pink and red highlights in these beads. These small and pretty ruby briolette beads work perfectly to create earrings. 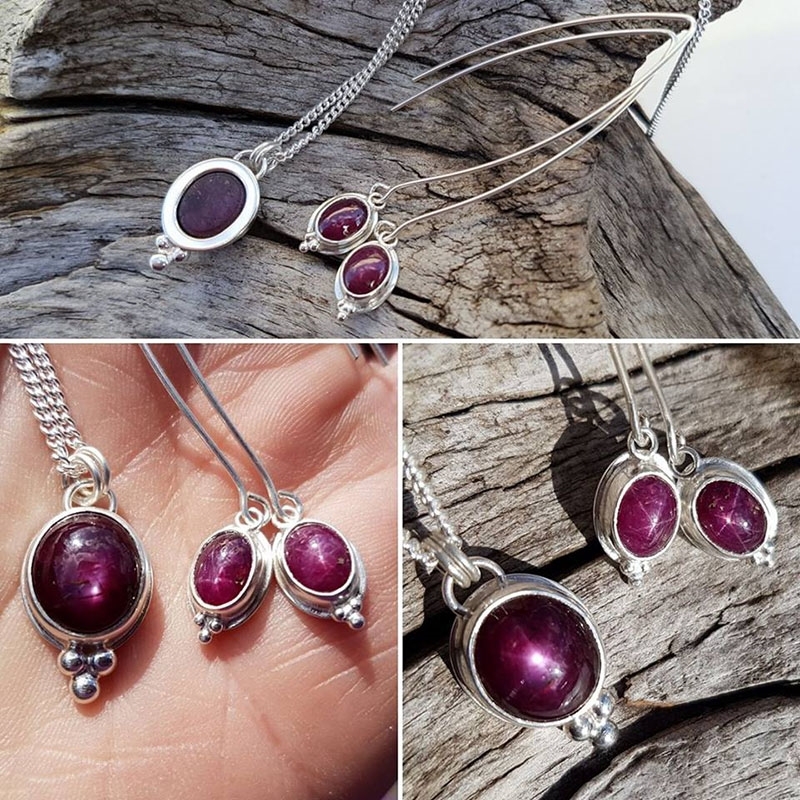 In this design, our Buyer - Hayley Agar Jewellery has used metal beads along with our lever back ear wires to create a simple yet stunning look.